Queenstown offers so much fun and excitement for everyone that visits; it’s also perfectly situated as the gateway to some of New Zealand’s best day trips, all within driving distance from this magical destination. The best way to venture and explore beyond Queenstown is to use your Queenstown accommodation as the base, pack your day bag and then get out and experience the spectacular sights and attractions on offer. Some of these trips are free or can be modified to make them as low cost as you need, and invariably some do cost money, but all are sure to offer a truly memorable day out. So join us at Bella Vista Queenstown, we’re the perfect accommodation choice for your Queenstown day trips, central to town, great parking, modern, comfortable and well throw in some free WiFi just to make your stay even more relaxing. The Queenstown Bella Vista team has spent many years travelling in and around the Queenstown region and have selected for you our top Queenstown day trips. 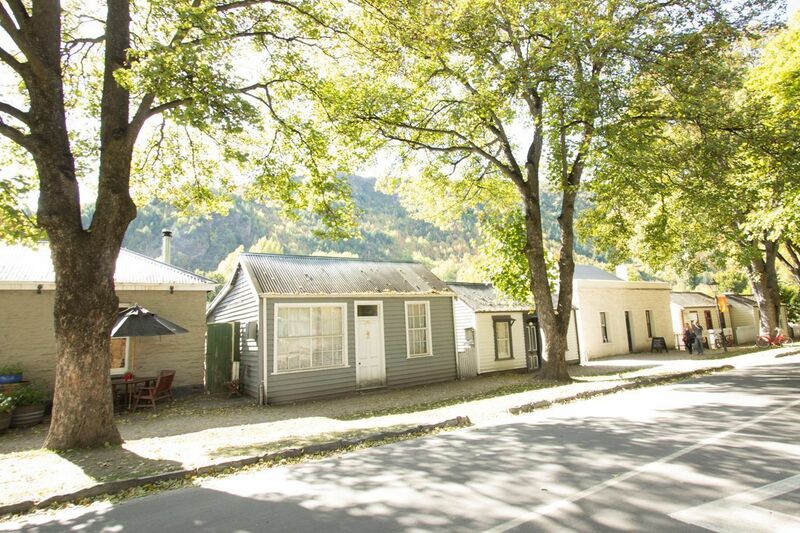 Located only half an hour from of Queenstown, Arrowtown is a breath of fresh, alpine air. This charming gold mining town offers so much for day-trippers, its picturesque setting feels like it is straight off a postcard and the quaint and somewhat quirky village is a delight to explore. Meander the streets lined with historic cottages, spend time checking out the Chinese settlement or try your hand at gold panning in the Arrow River. The cafes and restaurants deliver top class foods and local wines through to bakery items ideal to take on a picnic lunch. The nature walks and hikes around this part of the country are breathtaking and the perfect way to end an afternoon of exploring. You’ll find the hours will fly by quickly, as it really is a magical day out. Milford Sound in Fiordland National Park is one of those bucket list destinations, with its beauty being beyond anything most people have ever experienced. Basing yourself in Queenstown is ideal for a Milford Sound trip, with both fly and coach options available from Queenstown. Whichever your preference, land or air, getting there is part of the experience. You’ll find yourself mesmerized by the views, as this is some of the most spectacular scenery in New Zealand. The journey will see you travelling through farmland, forests, with views of beautiful streams, rivers and valleys. It will feel like there’s a fabulous photo opportunity around every corner. Once arrived and out on your Milford Sound Cruise, you’ll see nature at its absolute best. This World Heritage Area is a sight to behold, carved from glaciers thousands of years ago, the majestic mountain peaks, fiords and waterfalls - some plunging 1000m, will leave you feeling awestruck by the magnitude of these surroundings. It’s an absolute must do when staying in Queenstown. Located only a short distance from Queenstown (approx. 45 minutes), this road trip between Queenstown and Glenorchy is one of the most scenic drives in New Zealand. The journey will see you following the shores of Lake Wakatipu, with its spectacular mountain backdrop, and if you’re lucky enough to be travelling in spring or winter, the snow on the mountains makes this picture complete! If time is on your side, try one of the many bush or lake walks that are in the area. Bob’s Cove or Lake Dispute are two popular options that showcase the very best the area has to offer. Once arrived in the small town of Glenorchy, you’ll find you have landed in a nature and adventure lovers’ paradise. There is an abundance of things to do to suit all possible requirements. From walks and hiking around Glenorchy or up Mt Alfred through to the multi-day options of one of New Zealand's Great Walk's, the Routeburn Track. There’s also the adrenaline pumping Dart River Jet, Funyaks (an inflatable type canoe), horse trekking, shopping, wildlife and art galleries. You’ll understand when you get here why this place has been the famous scenic backdrop for many iconic films, such as Narnia, Lord of the Rings and The Hobbit. Basing yourself in Queenstown means you can make the most of your location and include an enjoyable day out in Lake Wanaka. 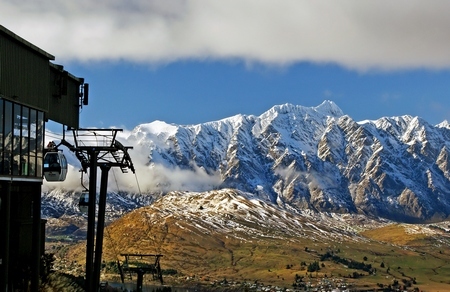 Travelling via the Crown Range, the highest main road in New Zealand, appreciate the views and scenery on offer and if you have enough time, stop at the iconic Cardrona Hotel for a morning coffee and a bite to eat. Once arrived in the Lakeside township of Wanaka, there is much to see and do. The lake itself will be enticing you to relax with a picnic, walk, swim or one of the many other lake activities. The cafes and restaurants dotted around town are fantastic and offer views, ambience and local food and wines. If you’re still looking for more, you’ll not be disappointed with the range of activities and attractions around town – adventure, natures, adrenaline, galleries, museums, plus lots more. It would feel like a sin to be in such close proximity to some of the best wines in the world and not make a day trip out of it. The diverse scenery alone makes this experience something else – with high country farmland, tussock clad hills and rivers, valleys and gorges. There is so much to see and do in ‘Central’. Those interested in wine are in their element, with Central Otago boasting some of the very best Pinot Noir, Chardonnay and Sauvignon Blanc in New Zealand. Choose to explore on your own or join a guided tour from Queenstown to experience vineyard tours, tastings, restaurant options and cellar door shopping. The many quality wineries in this region are mind-boggling – Mt Difficulty, Black Ridge, Gibbston Valley, Amisfield and Chard Farm just to name a few. So make the most of this location while you are here. There are of course so many day trips from Queenstown we could mention in this blog – Doubtful Sound, Makarora Valley, Te Anau, Mount Cook the list goes on and on. To find out further information on any of those we’ve mentioned chat to the team when you check into Bella Vista Queenstown, as they’re a wealth of local knowledge. So remember – next time book in a couple of extra days in Queenstown and get out that little bit further! 48 hours in Christchurch. Isn't it time you came for a visit? When the majority of us think of Christchurch our minds are automatically drawn to the devastating earthquakes of 2010 and 2011. So much has happened since then, Christchurch is well and truly back and ready to share its story with the world. We’ve put together the perfect 48-hour tour to help you get the most out of the Garden City. Christchurch is a fascinating, vibrant and as we know resilient city, it’s a place that you could and should spend many days exploring, but if you’re only here for a couple of days, try and tick off as many of these as you can. Start the day off at a leisurely pace with the best coffee in town. We suggest The Caffeine Laboratory. The food selection at The here is top notch, and you’ll be hard pressed to choose only one item off their brunch menu. Once your meal has been delivered to the table you’ll understand our recommendation, as the food is beautifully presented and seriously delivers on taste. For many New Zealanders visiting Christchurch is bitter sweet, there’s a genuine sense of sadness and loss for what was, but also true admiration and hope both for the city and it’s locals. We’ve selected a few options for those that want to learn and understand more about the earthquakes. Quake City – Here you will discover all there is to know about the Christchurch earthquakes; the destruction caused, stories of bravery and locals working together, you’ll view images of the wreckage, see up close many iconic objects that have been salvaged and learn about the plans for the city’s future. Re:Start Mall, 99 Cashel Street, daily 10am – 5pm. Christchurch Rebuild Tour – This 90 minute bus tour will highlight the damage caused by the earthquakes, talk of the transitional projects that were required and learn of the plans for the future. It’s a good way to get your bearings and see for yourself the areas that were worst hit. Daily departure, outside Canterbury Museum, 11.30am. 185 Chairs – Earthquake Remembrance Art Installation. While still on the hunt for a permanent location, 185 Chairs is a public artwork and memorial to the 185 victims of the Christchurch earthquake. It’s a moving place to visit and really puts into perspective the sadness of the lives that were lost. St Paul's Trinity Pacific Presbyterian Church site, corner of Cashel and Madras Streets. We've allocated 90 minutes to stroll along to the Christchurch Botanic Gardens and appreciate this true oasis in the middle of the city. It's not long enough but hey, you're on a timeframe! Here you’ll view the well-planned collection of different gardens, exotic plants, trees, and indoor varieties. You’ll no doubt want to spend a while checking out the gardens, but once you’ve had your fix, make your way to Cambridge Terrace for a river punting experience. It’s about as Christchurch as it gets! You’ll sit back and relax in the hand crafted flat bottom boats, as your Edwardian dressed punter in full attire (stripes, blazer and boater hat) points out the landmarks and highlights of the city. This is such a fabulous option any time of the year, with blankets, umbrellas and even hot water bottles available if needed. You’ll no doubt have worked up quite an appetite by now, so tonight enjoy a unique and completely ‘Christchurch’ way to dine. The Tramway Restaurant sees you seated in a colonial style dining tram, where you’re served up the very best in local cuisine and wines, plus experience an after dark sightseeing tour. It’s a must do on a visit to Christchurch, but remember to book in early to make sure you don’t miss out. Have a light breakfast before you leave your Christchurch motel and then make your way out of the city to the Christchurch Gondola. The ride up is enjoyable and sees you ascend Mt Cavendish in the Port Hills, once you reach the top the uninterrupted 360-degree views over the city, port, Southern Alps, and beyond are spectacular. There’s plenty to keep you busy at the top, the Time Tunnel ride will teach you about the history of the region, a café for your morning coffee, and perhaps take the opportunity to explore the Mountain Bike or walking trails. If you don’t have your own transport the Gondola Shuttle operates daily from the Canterbury Museum. Now’s time for something a bit different and we think pretty special! And this city is the only place you can do it - unless of course you’re planning a trip to Antarctica. The International Antarctic Centre is a fun and interactive experience that will make you feel like you’re really there. View Little Blue Penguins, experience an actual Antarctic storm (appropriate clothing provided), and learn facts and stories about what life’s like in Antarctica, plus no Antarctic experience is complete without a Hagglund ride. By now you’ll probably need a bit of a break from playing tourist. Head over to Hagley Park to breathe in some fresh air and appreciate this wide-open space in the middle of the city. 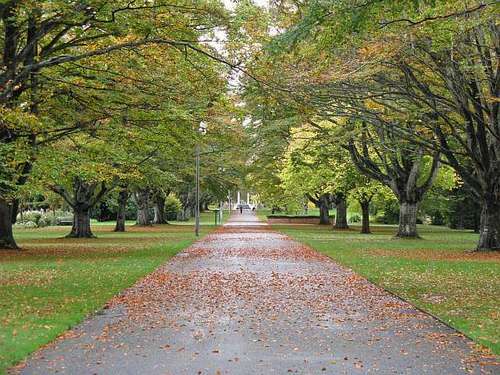 Hagley Park has been part of Christchurch lives since the 1850's, gifted to the city for the enjoyment of the residents. The beautifully maintained park offers so much for all - a lake, tennis courts, sports fields, walking and running tracks and picnic spots, plus much more. From there make your way back to Bella Vista Christchurch to freshen up before dinner. Sadly your time in Christchurch is coming to an end, and perhaps the most fitting place to finish up is at the Christchurch institution, Café Valentino. This buzzing restaurant hotspot serves up mouth-watering dishes, pizza, pasta and a Torte di miele to die for. It’s the ultimate in Italian food and is all packaged up in a fun atmosphere with food prepared to perfection. Mama Mia! If you’ve only got 48 hours in this city location is key, so book yourself into Bella Vista Motel & Apartments Christchurch, and enjoy the close proximity to town, dining and all the attractions. Bella Vista Christchurch offers some fantastic accommodation options including studios, one, two and three bedroom units – so there’s something to suit everyone at this brilliant Christchurch motel. Graeme and Janice are always happy to share their local knowledge and assist with any questions or booking requests you may have. Call them on 03 377 3363 for some first-hand advice. A few weeks back Bella Vista Hamilton was full to capacity, with the city’s annual Balloons Over Waikato festival in town. There was a real buzz around the place and the event received glowing reviews. This, however, is not the only event that comes to Hamilton, the region plays host to many exciting festivals and events, and this city sure knows how to do it right. Having established itself as one of the big players when it comes to putting on successful occasions, Hamilton’s welcoming feel along with effective infrastructure ensures everything runs smoothly and to plan. On top of that the local Hamiltonians embrace each and every event with enthusiasm, decorating streets, shop window displays, street parades and fireworks – and that’s all part of the Hamilton magic! 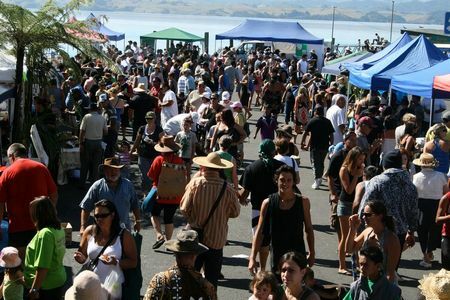 We’ve put together an overview of some of the many festivals and events the Waikato region offers, take a read and see if any take your fancy! And remember to book your accommodation early with Hamilton Bella Vista. 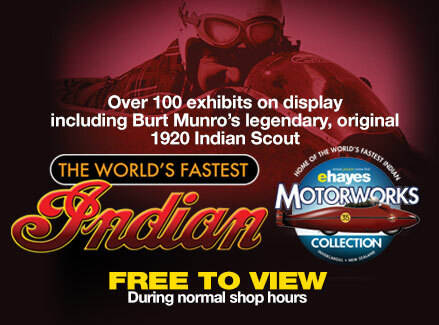 For the last 18 years Hamilton has played host to one of New Zealand’s largest free events. Balloonists come from near and far to be a part of this the pinnacle of their sport, and the public get something very special in return. If you’re looking for ‘wow factor’ then this festival is for you. It’s a sight to behold when you see balloons en mass of varying colours and sizes floating graciously across the sky. 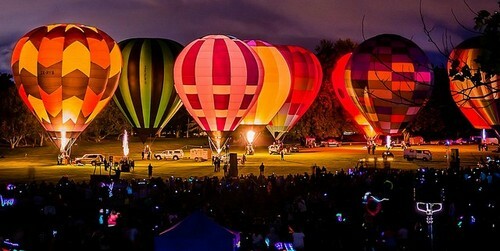 Balloons Over Waikato includes a series of events including a mass ascension, a school hop, balloon rides, games, competitions and a very special night-glow flight. Mark this one on your calendar for next year as accommodation books out quickly. Now this one’s a biggie! With over 1,000 exhibitors and 2017 visitor predictions being in excess of 130,000, Mystery Creek in Hamilton transforms itself into a mecca for farmers and non-farmers alike. This event, which started with humble beginnings in 1968 by a handful of passionate locals, has evolved into the exceptional occasion it is today. It’s appeal spreads far and wide, allowing those involved with farming and agriculture to view the latest in innovation, technological advancements, machinery, farming products and various agricultural displays. All the way through to an industry careers and education hub, a No8 wire art competition, Rural Bachelor of the Year, exceptional food, activities for kids and even the legendary tractor pull. It’s a fun-filled day (or few days) out, and an annual highlight for many people. Come farmers, come city dwellers – you’ll all find something you love here. There’s no denying it Hamilton lives, breathes and dreams sports, there’s something in the water. So if you’re heading to town for a sporting occasion, prepare yourself for one heck of a good time. Hamilton has firmly established itself on the international cricket calendar with Seddon Park hosting International Tests, One Day Internationals, 20/20 matches and Northern Districts home games each season. With its relaxed and family friendly vibe, this ground has become a firm favourite for both teams and fans. Hamilton turns absolutely cricket mad with each and every match, so if there’s one match of the season you don’t want to miss, it’s the one at Seddon Park. Come the winter months and you’ll find the Waikato region comes alive when their big guns come out to play. 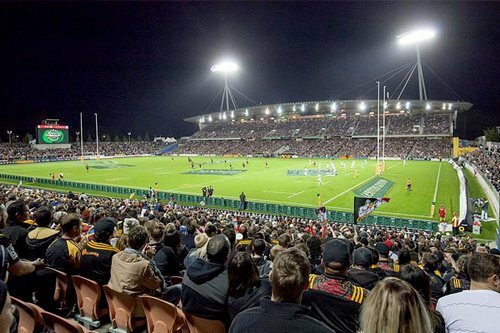 The Chiefs (formally known as the Waikato Chiefs) have created a fortress at FMG Stadium Waikato for their Super Rugby matches, with fan zones, cowbells, staunch supporters and deafening Chief chants. With this team having won a handful of titles over the last few years, combined with their humble nature the team has gained a faithful following. The buzz of experiencing a Chiefs home game really is something else, and with Hamilton Bella Vista accommodation literally a stone's throw from the stadium, you only need to pick your date and come and be a part of the action. The Waikato Bay of Plenty Magic is the region’s top netball team. With both titles and talent a plenty, this team fills stadiums and has an extremely loyal fan base. The fans are loud, completely one eyed (in a good way) and travel from near and far to support their girls. Home games are held at Claudelands Arena and are always guaranteed to be played at 110%. Other sporting events the region hosts in 2017 include, The Maadi Cup, Rugby League World Cup Matches, a Vodafone Warriors match, 5 Bridges River Swim and the annual half marathon. When Lonely Planet calls something a ‘must see’ you know it’s something pretty special. 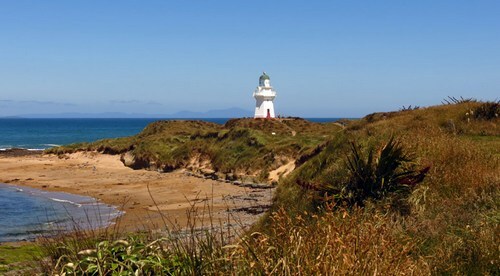 Located about a 1hr 15 minutes drive from Hamilton, the festival is held on the Kawhia foreshore. It proudly showcases traditional Maori kai (food), which has been lovingly gathered from the surrounding land and sea. You’ll also have the opportunity to view local artists at work and learn the history, spiritual meaning and beliefs behind the traditional Maori arts and crafts, including flax weaving, woodcarving and more. There are of course so many events that Hamilton hosts - concerts, the wedding expo, Great NZ Food Show, comedy events, plus much more. Attending a show, event or festival makes for a fun weekend away, so start thinking about making your next trip a Waikato based event or festival. The friendly team at Bella Vista Motel Hamilton will make sure you have a warm and comfortable place to lay your head at the end of the day, plus provide unlimited free WIFI, parking at your door and a range of accommodation options to choose from. Give Lee and Rowena a call today on 0800 235 528 and book in your next stay. Queenstown stands heads and shoulders above most visitors destination of choice when visiting New Zealand. It holds a special allure for most Kiwi’s as well. Whether you are travelling for an extended summer break, a special weekend away, visiting or participating in one of the many annual sporting events such as the New Zealand Golf Open or the Air New Zealand Queenstown Marathon, or booking a winter ski holiday, Queenstown has undoubtedly become the New Zealand destination of choice. Sitting serenely on the shores of the mighty Lake Wakatipu, what was once a small sheep farming settlement has grown from gold rush town to tourism mecca. Quietly overlooked by the eponymous Remarkable mountain range, Queenstown continues to draw visitors from all over the world. It’s on most traveller's ‘bucket list’, so if you haven’t visited yet, what are you waiting for? Bella Vista Accommodation Network is very proud to be able to offer a modern and incredibly well-appointed Queenstown accommodation choice. Featuring 24 motel units, Bella Vista Queenstown will deliver to your every need whatever the season and however long your stay. Take note that this destination requires more than a one night stay. With the choice of studio’s, one bedroom and two bedroom units, Bella Vista Motel Queenstown has the options you are looking for just on the edge of town without having to pay the high cost you might find at some Queenstown hotels. Free WiFi and onsite free car-parking during your stay are a great bonus for hassle-free travel. · Riding the gondola to Skyline to take in the view from Bob’s Peak. · Take a cruise on the lady of the lake the TSS Earnslaw steamship across to Walter Peak for lunch. · Still on the water, book in for a real thrill and experience the awesome Shotover Jet ride. 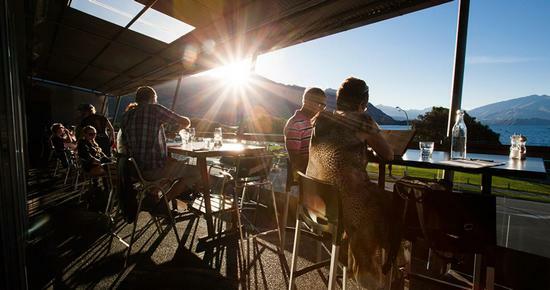 · We recommend you ensure you take some time out and enjoy a drink, a bite to eat or maybe an ice-cream whilst enjoying the fabulous views at one of Queenstown’s celebrated eateries. 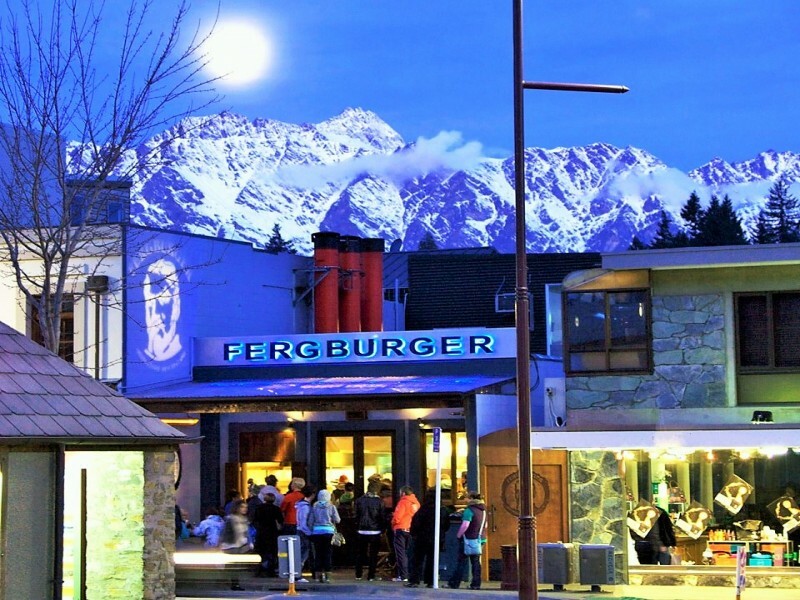 · And last but certainly not least, who could forget to recommend the very famous Fergburger. A locals tip from your Bella Vista host will ensure you can miss the queue. A little further from town, depending on the season, you can hit the mountain bike trails or the ski resorts. Picturesque Arrowtown is only a short 10 minute drive away and there is endless cellar door choices to be made within the nearby Gibbston Valley, famous for the Central Otago Pinot wine. The attractions that are going to bring you to Queenstown really are endless and forgive us if we blow our own trumpet but the Bella Vista accommodation is pretty good too! And don’t just take our word for it. 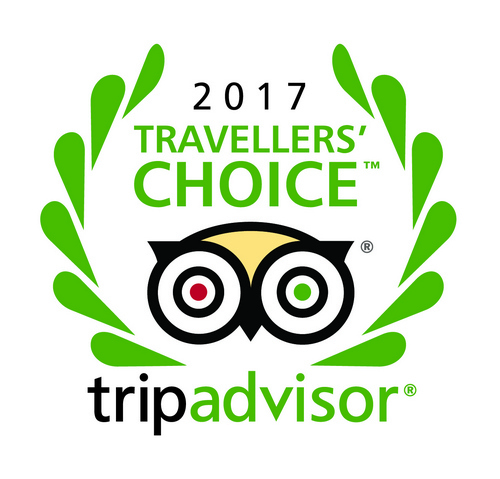 Some recent Trip Advisor ratings rank our Queenstown motel very, very highly. Currently positioned at #10 of all Queenstown Hotels and therefore #1 of all Queenstown Motels, don’t mind us if we congratulate the Bella Vista Queenstown team and give them a well deserved pat on the back. With comments such as “Great Place, Great People, Great Location” and when ranked above certain big-name hotel chains, it’s no wonder Bella Vista Queenstown wants to engage in a little bit of self promotion! Now is the time to tick this destination off your must-do list so get booking – the team at Bella Vista Queenstown look forward to hosting you! It has to be Wanaka. Every day of the year. It’s Wanaka for us any day of the year. Wanaka is a four seasons kind of place with a shift in focus - equally as spectacular - every season. It’s a popular place to visit and is on every tourists ‘Must See’ list. So whether it be summer sailing on the lake or hitting the slopes during winter that takes your fancy, take a read below of our tried and tested guide to Wanaka - it’s natural beauty, attractions, activities, dining and nightlife. 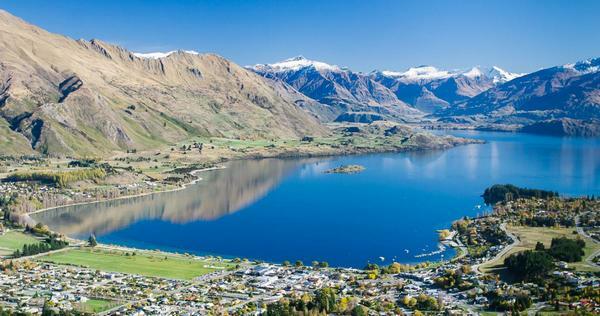 At 45 km in length and 193 Square Km, Lake Wanaka is visual perfection; surrounded by the mountains, quaint Lake Wanaka Township and sheep stations. These crystal clear waters and surrounds are a haven for young and old. You’re spoilt for choice when it comes to getting the most out of the lake, with kayaking, stand up paddle boarding, wakeboarding, sailing, mountain biking, hiking, you name it. The friendly team at the Wanaka iSite knows all there is to do on the lake and where to go, so make this one of your first stops! 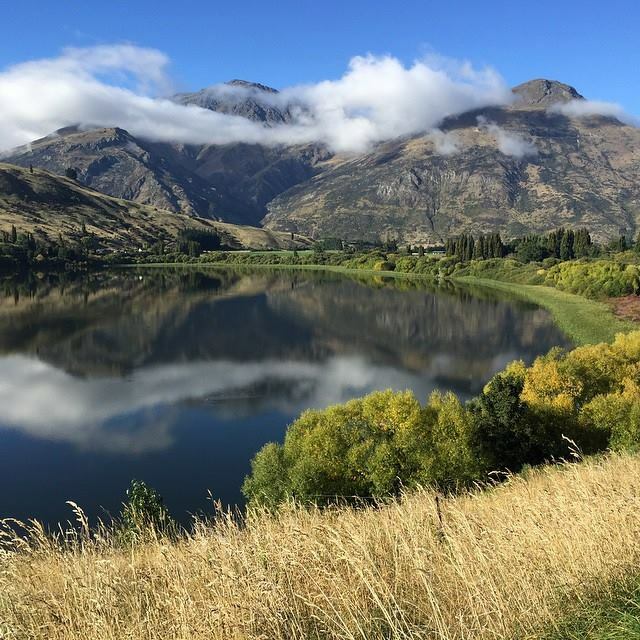 It’s as if Wanaka was created with walking in mind – with tracks to cater to all fitness levels and abilities, from short strolls around the lake, dog friendly walks, wheelchair access trails, all the way through to serious hiking. 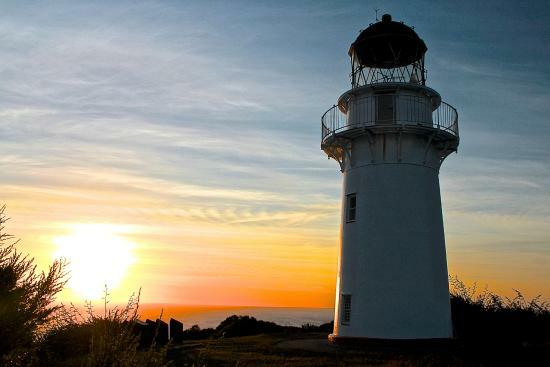 Popular half-day walking highlights include – Mt Iron Track and Roys Peak Track. 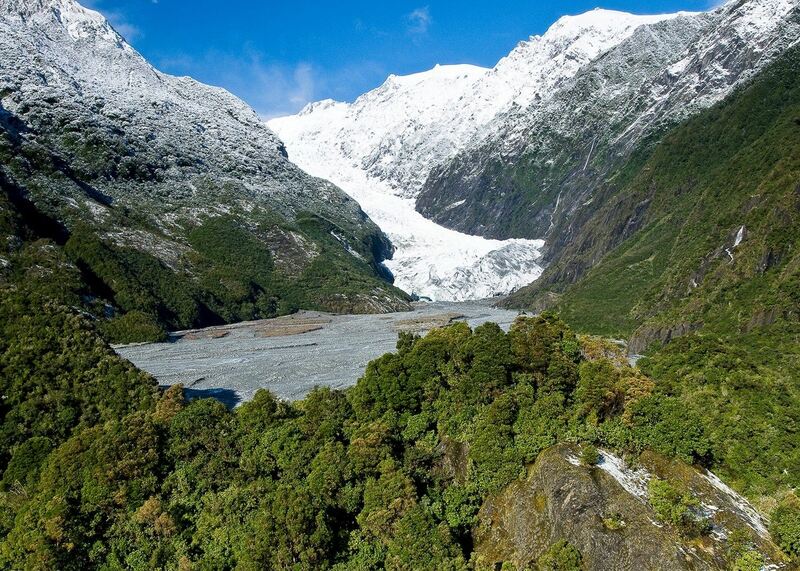 Nearby Mt Aspiring National Park is a World Heritage Area that attracts hikers from around the world. The gritty remoteness of this area combined with the mountains, valleys, rivers and scenery will make sure it will be a hike you’ll never forget. Varying levels of hiking tracks and lengths are available, with the well-known ones being - Gillespie Pass Circuit, the Wilkin Valley, Aspiring Hut, Rob Roy Track, Liverpool Bivy and Cascade Saddle. Wanaka is also part of the length of New Zealand walking route AKA Te Araroa (The Long Pathway) that travels from Cape Reinga to Bluff – make Wanaka an overnight stopover. 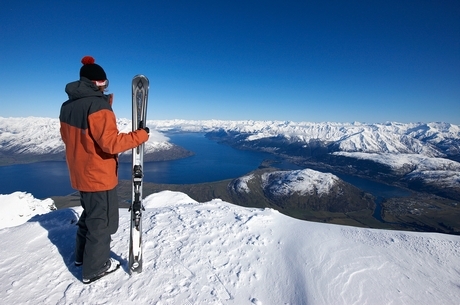 Come winter, Wanaka is the ideal base for skiers and boarders. From beginners through to seasoned skiers and heli-skiers, take your pick of Cardrona, Treble Cone or Snow Farm, or try all three. It’s arguably the best skiing in New Zealand and sees people coming back year after year for more. The ski season finds Wanaka pumping both on and off the slopes. Cinema Paradiso – It’s about as quirky as it gets with a selection of comfy couches, various seating options and even an old Morris Minor! Grab your spot and treat of choice – the homemade cookies and ice cream are hard to ignore. Now it’s time to relax and enjoy the latest movie in style! Puzzling World- Making the weird and wonderful seem perfectly normal, that’s what it’s all about! Fulfill your inner child (or take your own) with rooms of illusions, crazy houses and one heck of a maze; enjoy this whacky trip into wonderland. Wanaka Lavender Farm - A walk through these fragrant purple fields is like nothing else. After taking your time strolling around the farm, try a cup of lavender tea, some lavender ice cream or check out the health benefits from the many products produced on the farm. Wanaka’s a small town packed with world-class dining options. Restaurants – The restaurant selection and quality is quite frankly staggering. Some of our Bella Vista head office favourites are: Big Fig, Luggate Hotel, Mazunga and The Spice Room. But heck, they’re all great!! With cuisine and dining styles galore there’s no shortage on choice here. Cafes – Wanaka takes its coffee and café culture very seriously and because of this you’ll find it hard to go wrong. Try Fedeli, Double Black and Alchemy for your caffeine fix. Bars & Nightlife. Lake views, open fires, atmosphere and dancing – tick every box you need? You’ll no doubt hear about the places to go when you’re down here, but depending on your mood checkout: Wineglass Café, Trout Bar or Gin & Raspberry. Wanaka accommodation can book out fast, especially over the ski season and height of summer. So start thinking about when you would like to head our way and call Tom & Melissa who will help you sort everything you need. Bella Vista Motel Wanaka is the perfect home away from home. Its central location sees you only 150m from Lake Wanaka and a minute’s walk to town. It is Qualmark 4 star endorsed, with free wifi and plenty of parking, which means you can relax and enjoy your stay. Give us a call today - we'd love to host you. Bungy Jumping, Queenstown Hill, Shotover River, Coronet Peak, Ziptrek, Canyon Swing, Fergburger, Gibbston Valley, the list literally goes on and on. If you’re after a memorable trip, something more than just your average weekend away, then Queenstown is your place. With its picture-perfect setting, breath-taking views, combined with fun and adventure all year round, it’s a hard place to fault. Queenstown was recently voted the 2017 Trip Advisor Travellers’ Choice Award as the Number One place to visit in New Zealand for the second year in a row, and when you join us down here you’ll see why. One blog post is never going to do Queenstown justice, there’s just so much to see and do. So take a read below and see just a few of the ways to pass your time in Queenstown - Staying of course at the modern and comfortable Bella Vista Motel Queenstown. Being the adventure capital of the world we thought here was a good starting point. Kawarau Bridge, The Ledge or The Nevis, you’ll find yourself with sweaty palms, a racing heart and a feeling of “what am I thinking? ?” But the adrenaline kick you get in return is out of this world. So 3,2,1 lets bungy!! Extreme speeds, 360-degree spins, and venturing into the narrow and spectacular canyons – are you sold yet? This jet boat ride dusts off the cobwebs for sure and gives you Queenstown from a different perspective. The Shotover Jet is the only jet boat operator permitted to operate in the Shotover River Canyons, you’ll be holding on tight for this one! 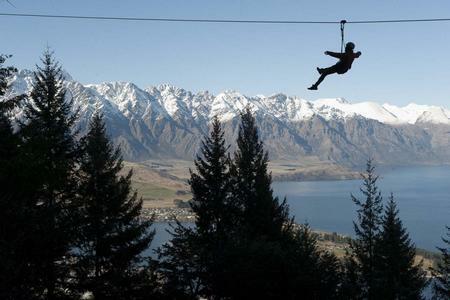 One for the memory bank, see yourself flying down through the Queenstown forest on the world’s steepest tree-to-tree zipline. This 3-hour (or 2-hour option) adrenaline overload leaves from the top of Queenstown Gondola where you plunge the equivalent of 30 stories down. Now all you have to do is relax and take in the views of Lake Wakatipu, Queenstown and the Remarkables mountain range. The food and wine culture in Queenstown and surrounding areas is about as good as it gets. Book into this highly respected and awarded winery for the Trust the Chef menu. Your taste buds will not be disappointed and the wine matches are spot on. It’s one of a kind and there’s nothing better than watching the world go by with a glass of Central Otago Pinot in hand. Relax after a hard days sightseeing beside the roaring fire (either inside or out) and taking in the lake views. 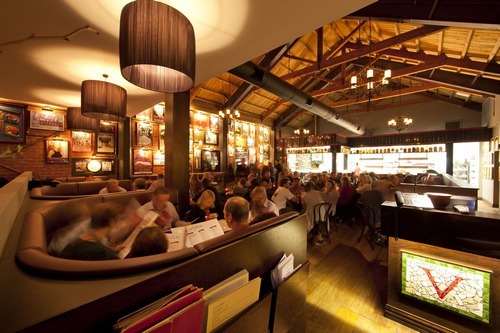 Botswana Butchery is one of Queenstown’s most stylish and well-respected restaurants and the food and wine selection is top class. Book this one in for sure! Ok so it’s not 5 star Michelin, but it’s about as Queenstown as it gets. This burger bar that started life as a hole in the wall joint, has a cult like following with nightly queues down the road. Burger choices include: The Codfather, Cockadoodle Oink and Sweet Bambi. DO NOT leave town without trying out one of their burgers. Now, you said you wanted to see the sights– where shall we start? Everywhere you look it’s like a postcard. Simply breathtaking. Located an easy walk from town, this spot hands down has the best views in town. Take your seat on the gondola and while you’re there pat yourself on the back for making it down to Queenstown. Once you’ve reached the top the world is your oyster: choose to dine at the Stratosfare Restaurant for lunch or dinner, enjoy a Kiwi Haka Maori Cultural performance, luge your way back down, bring your mountain bike and explore or try star gazing at night. A serious time waster (as in you could waste away the day staring at the stunning views). The Maori Legend of Lake Wakatipu involves love, a hero and murder, creating the gorgeous lake, as we know it today. The heart and soul of Queenstown is Lake Wakatipu, surrounded by its beautiful snow capped mountains. It’s often the meeting place for visitors to gather, whether it is for lakeside dining, a morning walk, the TSS Earnslaw, a spot of fishing or even a semi-submerged shark. 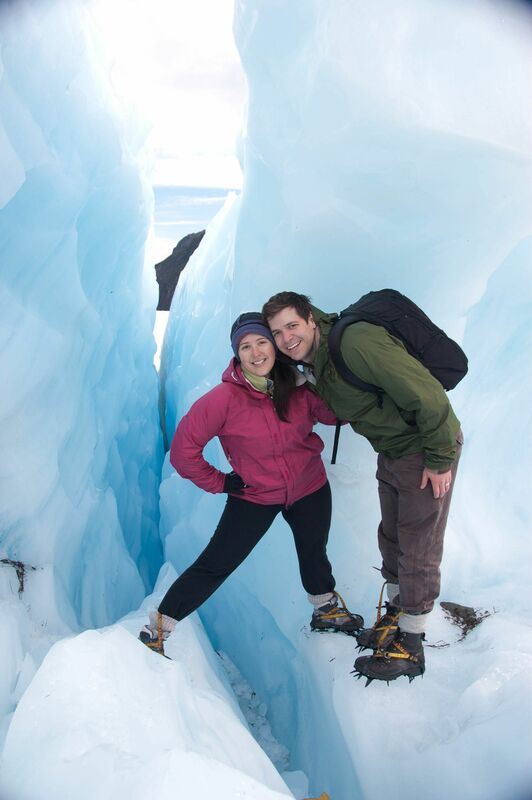 We couldn’t write this blog without highlighting the Milford Sound day trip that many visitors to Queenstown partake in. Renowned for being one of the most stunning wilderness regions in the Sothern Hemisphere, Milford Sound is located in the Fiordland National Park. Impressive whatever the weather (in fact the rain can help magnify the visual effects), take in the peaks, cliffs, waterfalls - some up to 1000m and surrounds. 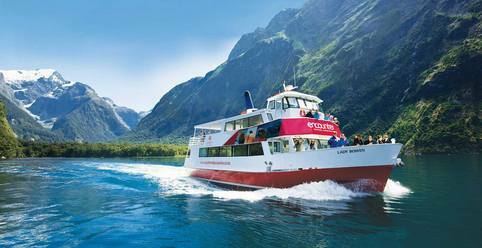 Boat Cruises are a popular way to experience Milford Sound where you will learn all the information, history, myths and legends to do with this popular spot. 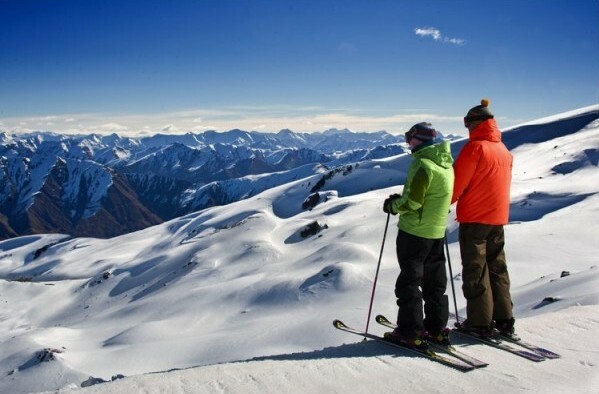 Skiing The Remarkables, Cardrona, Treble Cone or Coronet Peak is a feeling like nothing else. With the ski season nearly upon us, stay tuned for a ski Queenstown feature. Telling you all you need to know plus all those hidden secrets only the locals know about. On the main road to Arrowtown from Queenstown there is a beautiful smaller lake called Lake Hayes, which on a still day will offer you endless photographic opportunities - the calm water silently reflecting the surrounding mountains. 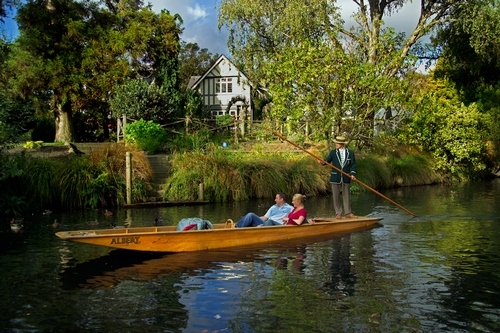 Another picture postcard view, Lake Hayes is a popular stop for budding photographers and a very popular wedding venue. Have a look at this picture below and you'll know what we mean. There are many Queenstown accommodation options available; however being one of the closest motels to central Queenstown gives Bella Vista Motel Queenstown the edge. This Queenstown motel is only a flat 5 minute walk from everywhere you need to be and with ample parking! Let Lee, Rachel and the team take care of you and all your accommodation needs.